Cathy Shaw is a Principal Project Manager at DAI Europe, having joined the company in 2001. Formerly a researcher in economic development in transition countries, Cathy has worked on long-term programmes in Nigeria and Russia, eastern Europe and central Asia, including eight years working with counter-proliferation initiatives to generate civilian jobs for former nuclear weapons sector workers in the former Soviet Union. Since 2012 Cathy has acted as project director for a range of European Union and U.K. Department for International Development (DFID)-funded projects in eastern Europe and the Caucasus, and east and southern Africa, focusing on climate change and resilience issues. 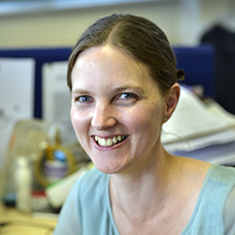 She also currently manages DFID’s Evidence on Demand (EoD) programme, which provides quality-assured research and evidence materials and rapid response call-down services for climate and environment, infrastructure, and livelihoods programmes worldwide.